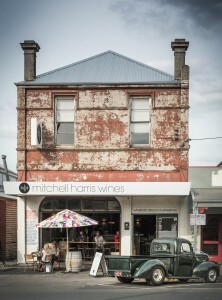 In the heart of the city of Ballarat, the Mitchell Harris team are sharing the great wines and stories of Western Victoria in our cellar door and wine bar. 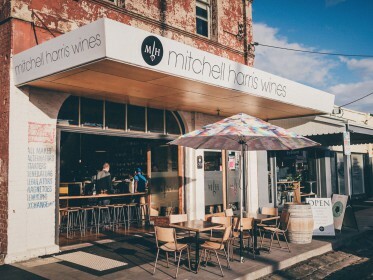 Along with the Mitchell Harris Wines range, the wine bar is a delicious gateway to the wines of our surrounding regions in Central and Western Victoria, including the Pyrenees, Grampians and Macedon. We’ve refurbished an 1870s produce store and workshop, and crafted its industrial cool into a relaxed space to explore the wines of our region in the afternoon sun, cosy up by the fire, or while away a warm evening with a few drinks with friends. Our bar menu matches wines with the best of the region’s produce – from bar snacks and shared plates to a full dining experience, all created by our talented kitchen team. 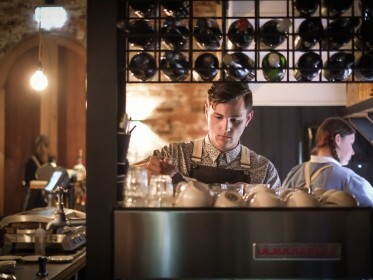 We’re open from 11am daily, with the team pumping great coffee, lunch and tunes all day long, along with our great wine list to explore. 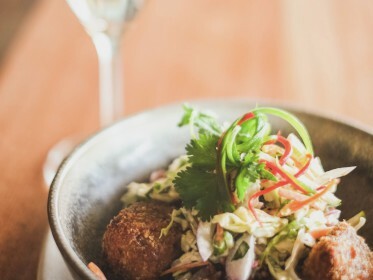 Our award-winning wine list focuses on the diversity of our surrounding Western Victorian areas, including the Grampians, Pyrenees, Henty, Geelong and Macedon wine regions. There are also lots of fascinating drops from around Australia and the world, so there’ll always be something interesting and delicious in your glass. Into the evening, Mitchell Harris Wine Bar is perfect for everything from an after-work drink to that special night out. Bookings are welcome for lunch, but only required for groups of 10 or more in the evening. Email us to enquire about events at our cellar door. Stay up to date with latest news, and events at Mitchell Harris. Stay up to date with latest news, and events at Mitchell Harris. We promise we won't spam you!